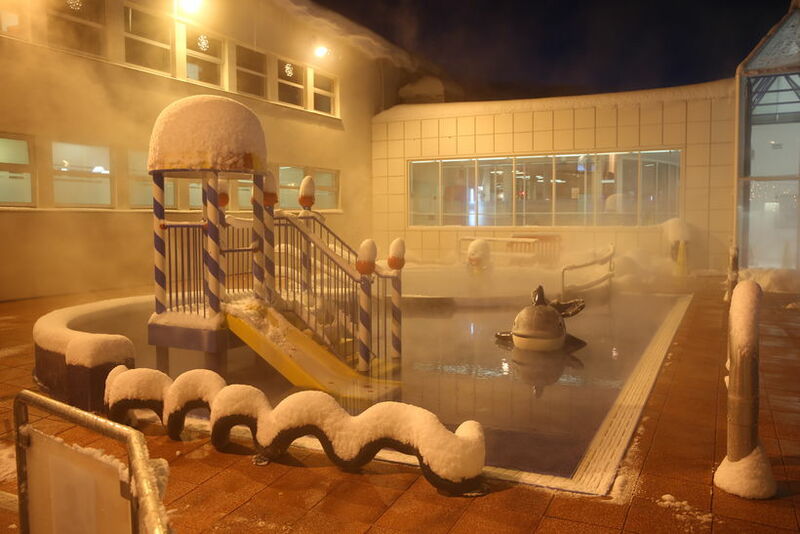 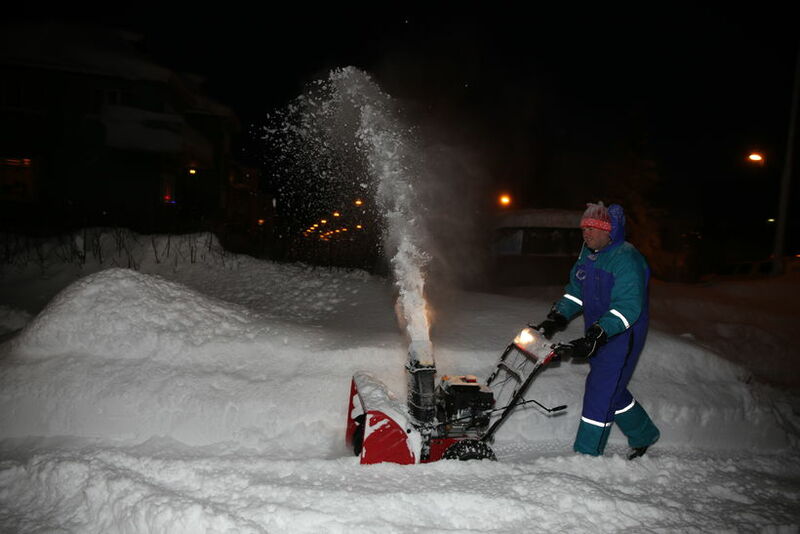 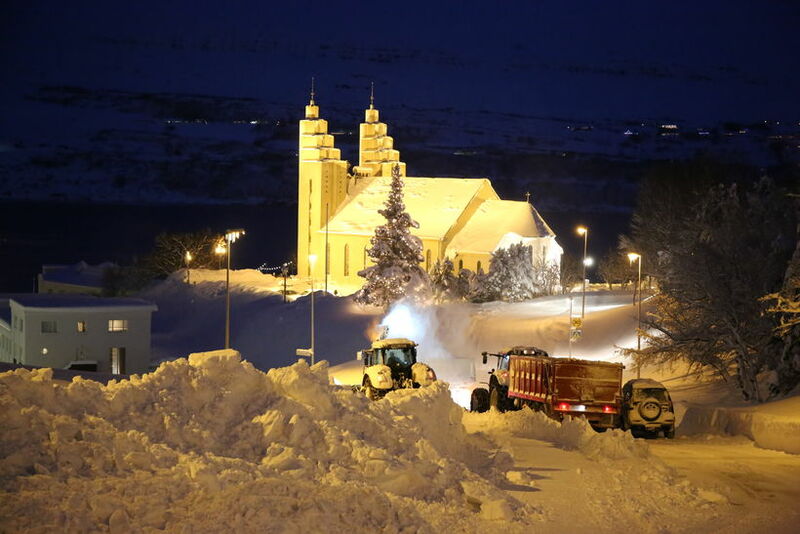 Snow fell on Akureyri, the largest town in North Iceland last night. 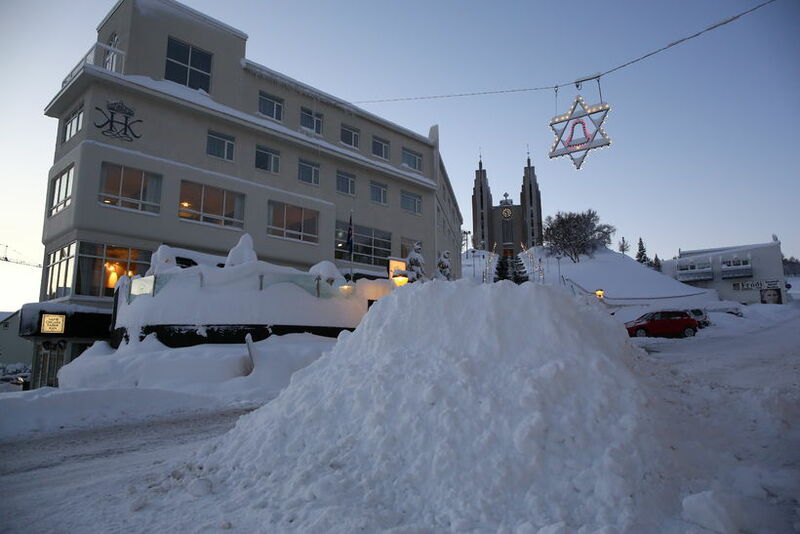 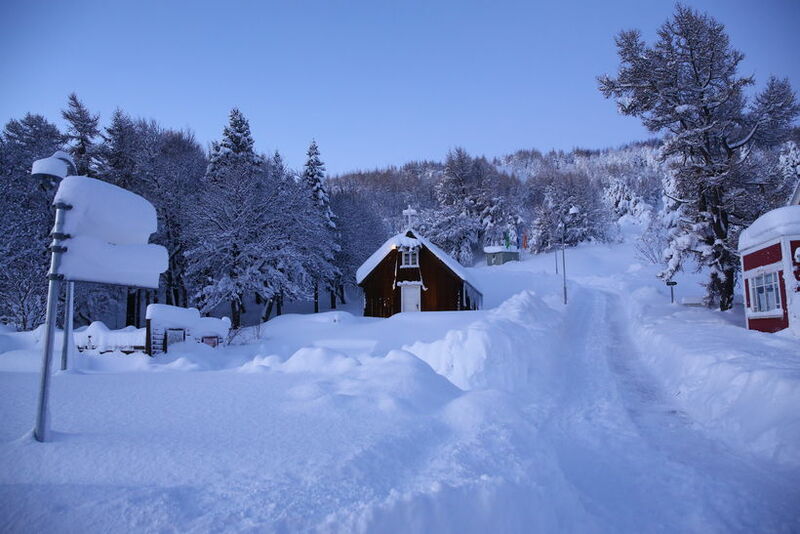 The snow was measured this morning at 105 cm by the Iceland Met Office. 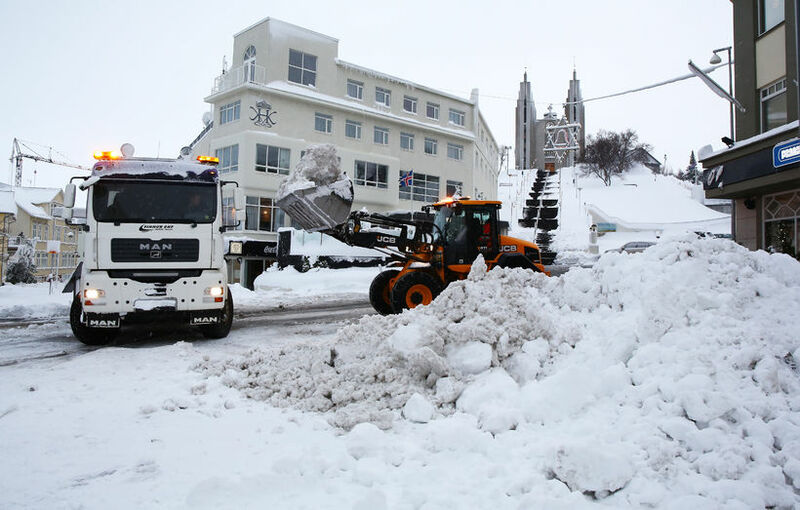 Akureyri police have published photos on Facebook of the snow and asked residents to take care when driving to school or work as many streets are difficult to pass.